Can some one tell me what are those? I got a second hand 8097 and other than the gun and the helmet antenna, I can't find the other ones. 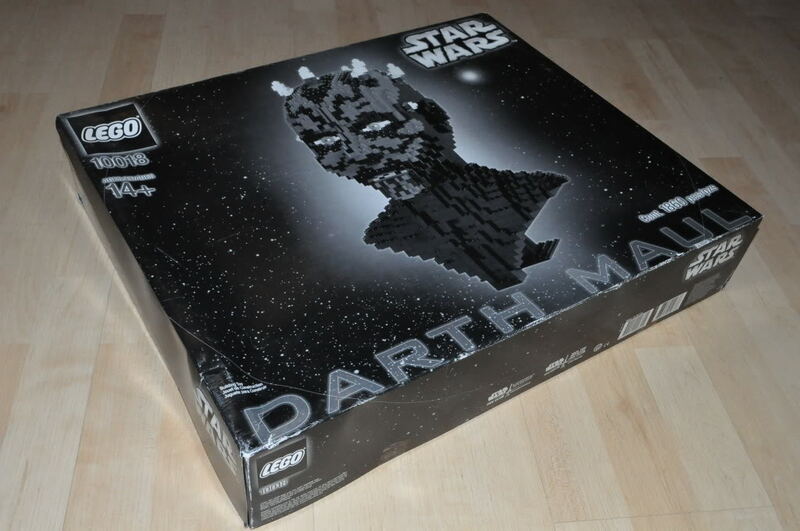 If it's a second-hand set, it may be "complete" per its inventory at BrickLink. In that case, the parts shown, aside from the antenna for Boba Fett's helmet, are considered extra. Only part that is used is the single antennae (or rangefinder) that goes on Boba Fett's helmet. Reason is that all those parts come bundled together as a pack for the various sets containing Clone Troopers or Boba/Jango Fett, regardless of it they are necessary or not. So, my big question is... if you get a MISB 8097, would you find those parts inside or not? Only the helmet antenna is necessary, for use on the Boba Fett Minifigure. The rest were included in the set, but the previous owner has evidently removed them. They are usually found with Clone Troopers in Clone Wars sets. Thanks CapnRex101. The seller said the set was complete, so I guess I'll ask him for those parts, even if I have no use for them. The newer pack is http://www.brickset.com/parts/?part=6004908 in dark bley (also made in dark red for 9488) and the older one is http://www.brickset.com/parts/?part=4534865 in black for 3 sets and dark bley for 7 (not including multipacks) They can be used for a few other things, the helmet lights make good cigars or pens and they can fit the holes in the sides of some other small parts if that kind of finicky building appeals to you. It is pretty common for a "complete" used set not to contain any of the extras. Almost every set has a few 1x1 plates or tiles that are extras and while some people keep theirs with the sets most people don't. I agree with @graphite. A used set is complete if it has everything necessary to build the set according to the instructions & all the figures and their accessories. Extra parts are a nice bonus but shouldn't be expected unless specifically listed as being included. The only major time that I expect extra parts is buying sets people have stripped of minifigs, which should have all the parts that aren't minifigs and their accessories including spare parts. Spare parts for the minifigs or their accessories I don't expect but sometimes show up as well if you're lucky. A 'complete' set in my eyes is a set that contains everything it did when it left the factory. Only if all of the spare parts are included is a set complete. If set #xxxx consistently comes with half a dozen spare parts in its box then they shouldn't be disregarded. I do accept however that Joe public on EBay may not appreciate my view so if they aren't included when I receive a used set, I don't take the seller to task. Instead, I either raid my kids' parts boxes or out in an order on BL or BO. It is interesting to hear the different opinions. For me a used set is considered complete if it has all the parts and accessories to build the set and as indicated in the set inventory not listed as extras. Extras are a bonus but are not actually part of a set; they are there if you lose some pieces, etc. Not only do I not consider a set incomplete w/o the extras, I don't even need them. When I open a set the extras go straight into my moc parts. Regarding Joe public on ebay, I'm more than happy if I receive the complete build, don't even think about the extras. Only place where extras are relevant are Technic sets with two builds and sets like Hobby train. I would say if all of the parts are there to make the set, and alternate builds that may be also in the instruction book (like technic) then it is complete. Hmmm. I've bought literally hundreds of 'complete' sets from eBay over the years and maybe 1-2% meet your criteria for completeness. I wouldn't expect to receive the spares; indeed, given the number of times that the spares I've found in older MISB sets have deviated from the list of spares on Bricklink, I'd wager that you don't really know for sure if you HAVE received a complete used set or not as the spares may vary within a particular set. ^ Any used sets I have bought, the last being about 3 years ago, have either an inventory matching BL or Peeron. If I didn't receive them with the extras, I made them up. Any new sets are as I received them, meaning my collection is as 'complete' as I can get it and whether a confidence or not, most of the time my spares have matched those listed. If your inventory doesn't match that that was likely packaged by LEGO in the factory, I can't see how your sets are 'complete' - they're not even close to how they were originally sold if you don't have any of their spares. 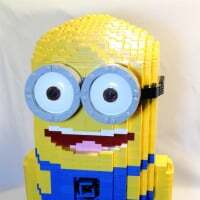 Bricklink lists the parts included in a set which are required to build the model(s) on the box. If those parts are all there then most people would consider that set complete. Bricklink also includes a listing of spares, which are separate from the main listing; on a number of occasions this list of spares isn't consistent with spares that I've received in a MISB set, suggesting some variability in what spares are supplied. Consistent with this, the spares listed in Peeron inventories are frequently different from those listed on Bricklink, and are also different from what I've found in MISB sets that I've built ! The point being that for many older sets in particular you don't actually know what spares LEGO have included in the box, so by your criteria how can you know if your set is complete ? As previously explained, my used sets are as complete as I can practically make them. If I have the spares listed in the two lists I'm off to a good start. By coincidence or not, my MISB sets have mostly backed up the lists recorded in Peeron and BL. I think there might have been one or two discrepancies, both missing a spare piece listed as an extra. So basically my 'complete' sets are more complete than yours. Am I wrong? Do I not have more parts included in my sets than you? Do I not have more parts intended to be included in a sealed set than you? If people want to be thorough then no one is stopping you or saying they win because they have more parts than everyone else. However, the majority of people I have ever dealt with on eBay for used sets (some 12 years now) have never come to me saying 'wait, I'm missing the extra 1x1 plate that was in the box according to xxxx'. Those extra pieces are just that... extra, and do not make the set being built any more complete IMO. The set is 100% complete as the all the correct set parts to build the set (or sets, per instructions), are there. That being said, I do try to add things like the different feathers that are in old castle sets for example, as technically they are used in the set. However, the majority of people I have ever dealt with on eBay for used sets (some 12 years now) have never come to me saying 'wait, I'm missing the extra 1x1 plate that was in the box according to xxxx'. I couldn't agree more and is why as the oddball I accept that when I receive a used set without the extras, it wouldn't be reasonable for me to query it. It isn't usual for others to need the spares to consider the set complete but for me a set isn't complete unless it contains everything it originally shipped with. However, it's a black and white box and I'm fairly confident a black and white box should have included a coloured sleeve also. Here's another little twist to the subject of extra items: TLG fills the boxes/bags and checks the weight for quality control. Usually, the only reason there are extras in the box, is because TLG would rather put in too many parts than leave the box short of the required parts, so for the small parts that may or may not be picked up by the weigh stations, they put in extras. Once TLG invests in more sophisticated quality control, those extra parts will likely disappear. My position is that TLG doesn't intend to give us extra parts, but only does so as a defense against poor public perception (which would happen if those little parts were constantly missing from the boxes). That said, as long as TLG keeps putting them in the boxes, I'll keep accepting them! I don't think you're missing a coloured sleeve, I think there's just a different version of the set with coloured artwork on the box. 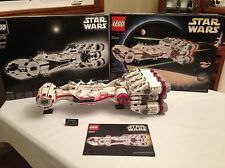 I seem to recall that the UCS Tantive IV also came in two versions, a coloured box version and a black and white box version. ^ You're right, they were both released in b&w and later coloured boxes and I'd agree with you if it wasn't for the rear side of my b&w box having no artwork. It has the set number, the LEGO and SW logos, but that's it. I seem to recall reading something about them 3 or 4 years ago originally being released in b&w followed by coloured sleeves and then coloured boxes. Something like that. I might have dreamt it but I don't think so. My coloured #10019 box has artwork all of the way around. The images below I pinched from the net. And here is a picture I found of a #10019 previously for sale on ebay. It shows two boxes. I think the coloured one is a sleeve. ^Note the different graphics as well; the colored version has the same graphics as all the 2002 SW sets (mostly EP II). I have the b&w version (from its first release, I guess). Yeah, I wondered whether the sleeves were sent out as an economical way of updating the branding. So maybe the b&w versions were intended the way they were but because they were deemed too bland, sleeves were sent out to update them in line with the then current branding. Wonder how long it will be before #10188 receives its sleeve.